For some of us a visual reminder is the only reminder; if it’s not in front of you it’s not likely to get done. 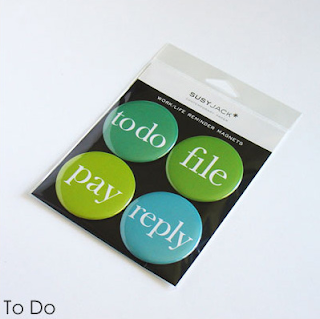 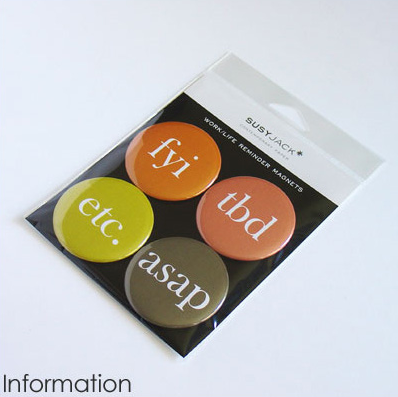 The Work/Life Reminder Magnets from Susy Jack are the perfect solution. 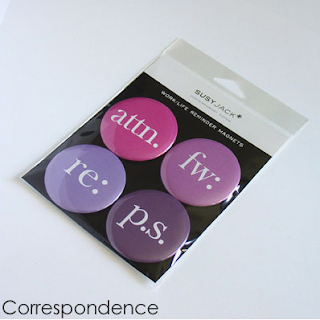 Susy Jack Work/Life Reminder Magnets are available in three different sets of four: Correspondence, Information, and To Do.